iPhone HD to be announced 7 June? 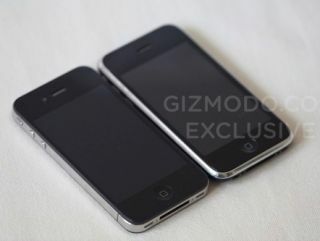 iPhone 4G or HD on the way? Apple has announced that it will hold its annual World Wide developer's conference (WWDC) between 7 and 11 June in San Francisco, which will potentially see the announcement of the next iPhone. The WWDC will heavily feature the latest Apple gadget – the iPad – but the attention will mainly be on the potential for an announcement of the iPhone HD or 4G, the next iteration of Apple's handset. With the now infamous leak of a prototype phone, it could well be a slightly diluted 'one more thing…' from Steve Jobs, but any iPhone announcement would still be considered one of the highlights of the tech calendar for 2010. The conference will take place at Moscone West in San Francisco. "This year's WWDC offers developers in-depth sessions and hands-on working labs to learn more about iPhone OS 4, the world's most advanced mobile operating system," said Scott Forstall, Apple's senior vice president of iPhone Software. "WWDC provides a unique opportunity for developers to work side-by-side with Apple engineers and interface designers to make their iPhone and iPad apps even better." With Apple iPhones coming at the rate of one a year, starting with the original iPhone in 2007, on to the 3G in 2008 and then last year's 3GS, an announcement was always expected.